Stoner doom legends Sleep have announced five August live dates. The Bay Area bringers of riffs will get rolling August 24 in Boston with psych-rockers Heavy Blanket and close with an August 30 set in Pioneertown, California (which looks like Deadwood, by the way). The tour hits NYC on August 25 at Stage 48. Tickets for that show go on sale Friday (6/6) at noon with an AmEx presale starting Wednesday (6/4) at noon. All dates are listed below. In addition to the road trip, Sleep will be releasing a new song for the Adult Swim Singles collection on July 21. This also follows news earlier in the year that Sleep might be working on a full album. If true, the day planners of all three members are particularly packed. 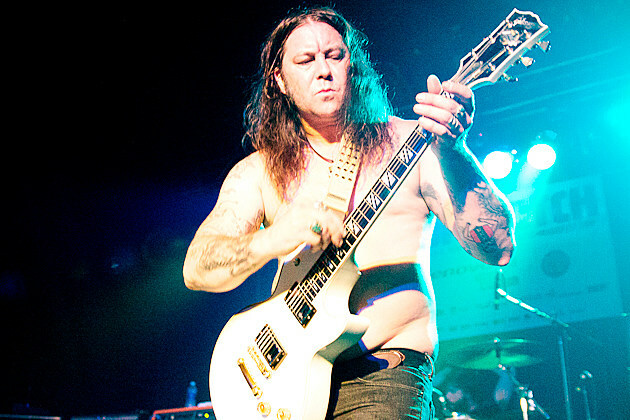 The forever-shirtless Matt Pike is currently in the studio with High on Fire working on their new album, which members describe as “crazy intense.” The band will also be touring Australia and Europe soon. Al Cisneros has been working on solo material, releasing a 12″ and a 7″ of deep-dubs this year. And Jason Roeder, who joined the group in 2009, will be doing High on Fire’s tour itinerary backwards with Neurosis, touring Europe, then heading to Australia, before landing back in the States for Southwest Terror Fest. Besides the Pioneertown finale, Sleep’s tour has some other dates of interest. Boston’s Heavy Blanket, the project allowing Dinosaur Jr’s J Mascis to jam, is releasing In A Dutch Haze, the Heavy Blanket/Earthless shred-a-thon from 2009’s SXSW on July 8 via Outer Battery Records / Roadburn Records. So, expect all of the solos for that show. And on August 28, Sleep checks in to Chicago’s Thalia Hall with Corrections House, the all-star industrial noise collective counting members of Eyehategod, Neurosis, Yakuza, and Minsk.